Locality: United States, Colorado, Hinsdale/Saguache, La Garita Wild Area. The divide between Lake Creek and Saguache Creek. Habitat: Open flat rocky ridge. 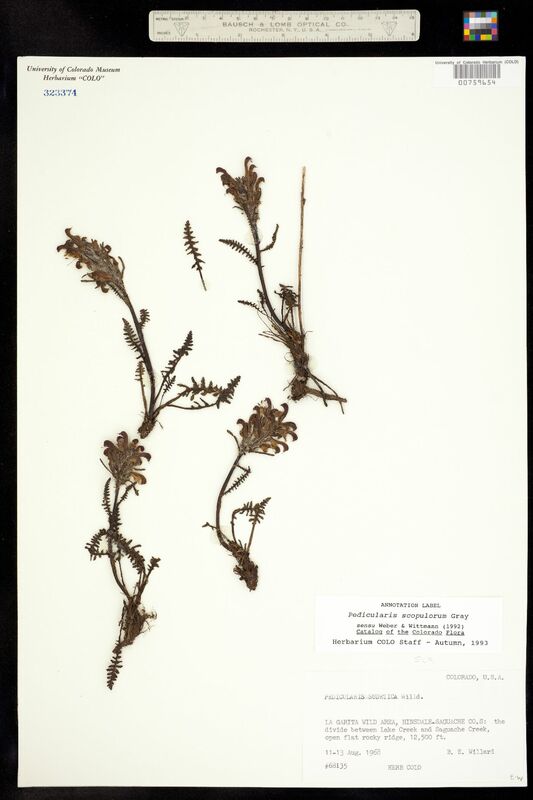 Occurrence Remarks: Original ID: Pedicularis sudetica Willd.